If there’s one thing you can count on to turn a buck it’s nostalgia and revival and the Nashville Boogie Vintage Weekender held May 12-15, 2016 at locations in the Music Valley section of town had both in droves. Presented by Muddy Roots Records this year’s event was a smashing success as a multitude of fans – many dressed in period clothing and style – descended on Music City to boogie, dance and party into the early morning hours. The Doel Brothers dole it out on the Event Center stage. Billed as a celebration of Mid Century America the Nashville Boogie Vintage Weekender featured over 50 live performances across 4 stages at the Nashville Palace, Opryland Hotel & Grand Ole Opry House. In addition, there was a huge vintage market with over 50 vendors from across the U.S. and an indoor car show located in the Ryman Hall. The Pinup Pageant was fashionable and fun on Friday. The multi-day event for us began at the Nashville Palace and we were immediately impressed with a young 16-year band leader from Kansas named Julian Davis. Decked out in his grandfather’s high school sweater from 1959 this young gun proved he and his trio deserved to be on this stage as they delighted with an hour plus of rockin’ authentic country music. 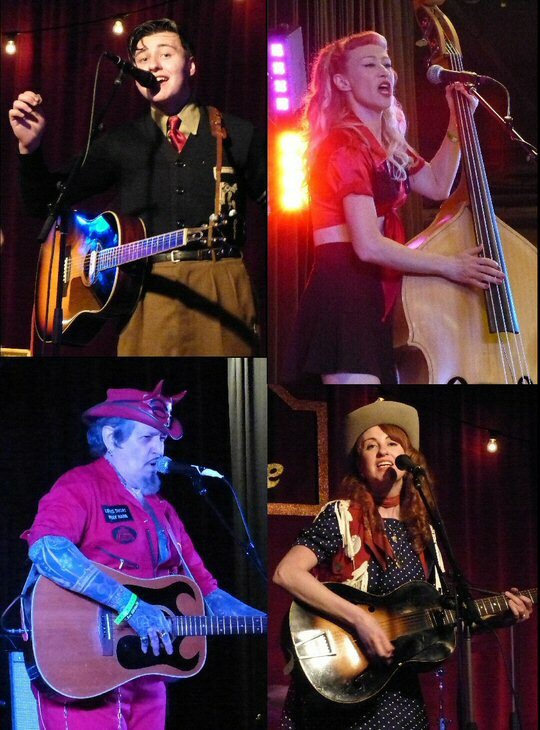 They were quickly followed by Nashville’s own Farmer and Adele fronted by Grace Adele who delivered solid western cowboy swing for the boogiers. James Intveld didn’t let a broken string stop the fun. The schedule of music over the four days of the Nashville Boogie was nearly non-stop with entertainment on the weekend concluding in the early morning hours. 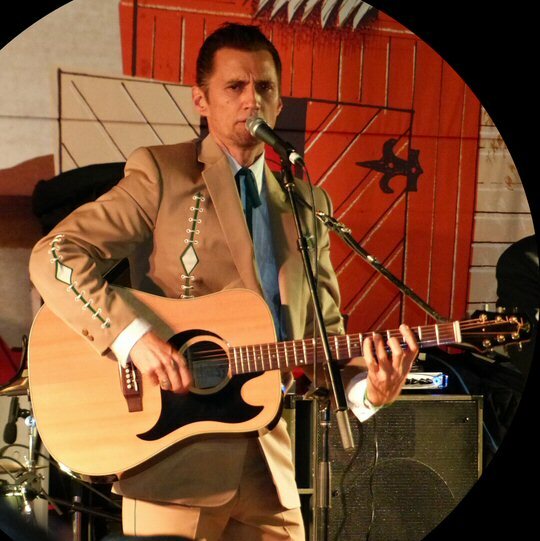 The event drew marquee names in rockabilly and country including Slim Jim Phantom, Rosie Flores and a Grand Finale at the Grand Ole Opry featuring award-winning musician Chris Isaak. We were particularly impressed with the engaging rock created by James Intveld and his band out of Los Angeles. A crowd favorite was Little Lesley & The Bloodshots – a trio comprised of members from New York City and South Carolina who were presenting songs from their recently released full-length debut. Perhaps our favorite example of the several dozen cars on display. A key component of Friday’s activities was the Pinup Pageant complete with 10 runway models and a celebrity panel of judges. The Nashville Boogie was an interesting blend of music, fashion and a cultural immersion that set participants into a less complicated bygone era – at least for this weekend. But, apparently these worlds collide more often than you think as festivals similar to this one were being actively advertised via postcard and flyer at this event. Clockwise from top left: Julian Davis, Little Lesley, Grace Adele and The Planet Rockers. In addition to music there was extensive vending and a vintage car show to helped turn back the clock to the 1940’s and 1950’s. 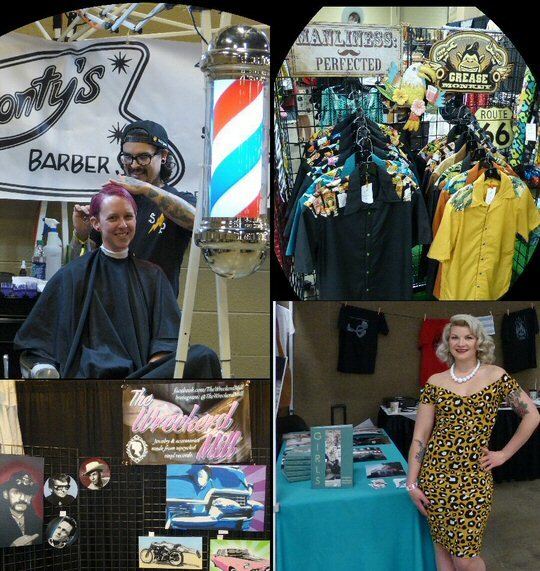 Attendees could get a period style haircut or pick up some tasteful threads to model at the Nashville Boogie. There was plenty of vintage vinyl to be had and a separate record convention was scheduled for the final day of the festivities. There was lots of interesting vendors at the Nashville Boogie. In the 1980’s we had Brian Setzer and The Stray Cats at the frontline of a limited rockabilly revival but those early roots have taken hold leading to today’s verifiable rockabilly craze that has flourished on a global scale. 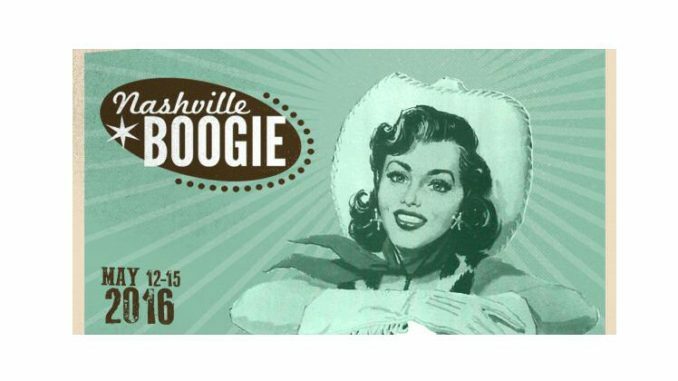 The 2017 Nashville Boogie Vintage Weekender is already scheduled including an expanded car show and a stage at the prestigious Tennessee Ballroom. 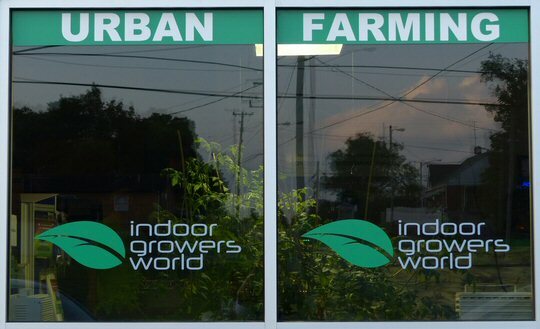 We can hardly wait ’til then!